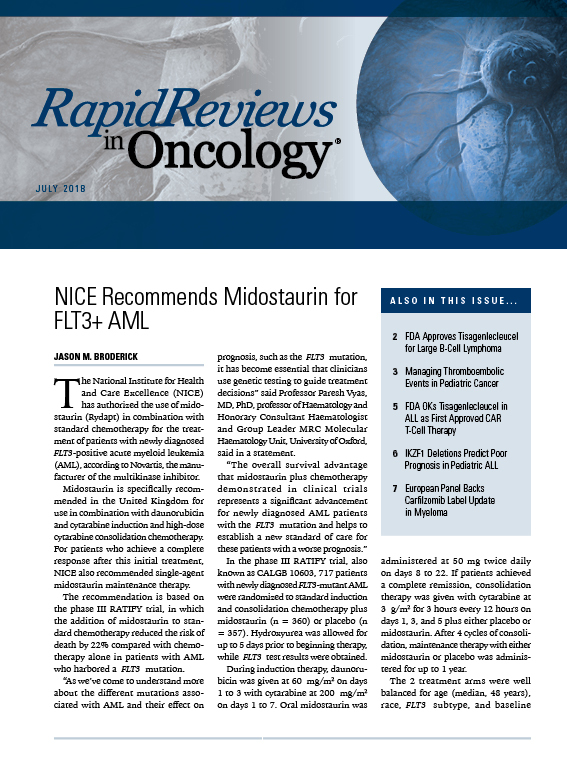 With the introduction of novel therapies in newly diagnosed chronic lymphocytic leukemia (CLL), physicians may be moving away from historically predominant chemoimmunotherapy-based treatment approaches towards novel, fixed-duration strategies, explained Matthew S. Davids, MD, MMSc. 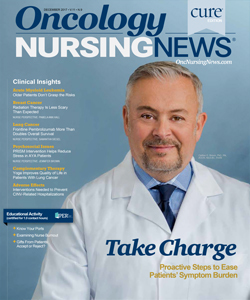 One such strategy is exploring the combination of venetoclax (Venclexta) and obinutuzumab (Gazyva) in patients with treatment-naïve CLL who have coexisting medical conditions. In the phase III CLL14 trial, patients were randomized to receive either 12 months of venetoclax and 6 months of obinutuzumab or 6 months of obinutuzumab followed by 6 months of chlorambucil. 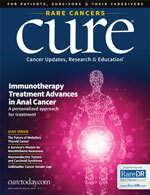 According to topline findings, the experimental combination resulted in a statistically significant reduction in the risk of disease progression or death compared with the chemoimmunotherapy combination.1 Based on the full data set, which will be presented at an upcoming medical conference, a supplemental new drug application for the combination was submitted to the FDA in March 2019. However, chemoimmunotherapy still holds a lot of real estate for specific patients, especially younger, lower-risk patients with IGHV-mutated disease, explained Davids. 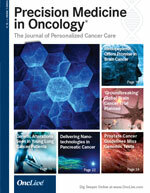 He added that the use of FISH testing or next-generation sequencing panels, which account for important markers such as TP53, 17p deletion, and IGHV, can help clarify whether a patient is best suited for a novel combination or standard chemoimmunotherapy. 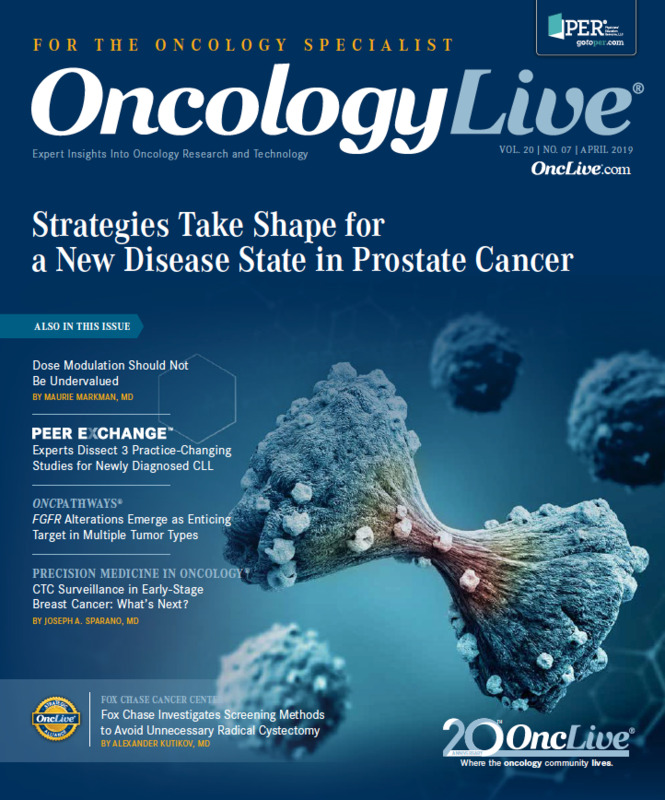 In an interview with OncLive, Davids, associate director of the CLL Center at Dana-Farber Cancer Institute and assistant professor of medicine at Harvard Medical School, discussed methods for choosing between frontline therapies for patients with newly diagnosed CLL and highlighted anticipated research in the field. OncLive: What are the frontline therapies for patients with newly diagnosed CLL? Davids: There are several different effective options. 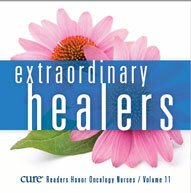 Historically, we’ve had chemoimmunotherapy-based regimens. Now, newer drugs like ibrutinib and venetoclax are coming along. We have a lot of new tools. First, we tend to think about whether patients have 17p deletion or not. If they have this high-risk marker, then we gravitate toward an ibrutinib- or novel agent-based strategy. If they have lower-risk disease, particularly if they have the mutated IGHV gene, then we tend to think more about chemoimmunotherapy. Particularly for younger patients, fludarabine, cyclophosphamide, and rituximab (Rituxan; FCR) may have curative potential. Then you have a middle group of patients in whom you can consider chemoimmunotherapy. However, we’re increasingly using a venetoclax- or ibrutinib-based strategy for those patients. Could you discuss the importance of testing for prognostic or predictive markers? For younger, fit patients we need to think about testing for IGHV mutation status. This is a test that is not as widely sent for [as FISH testing], but it's really influencing how we treat younger patients now. Patients who have IGHV-mutant CLL can really benefit from FCR if they're candidates for that therapy, whereas patients who have unmutated IGHV should be given a novel strategy. Secondly, TP53 or 17p deletion status needs to be tested for as well. Increasingly, that's influencing longer-term approaches to therapy. Is FISH testing used frequently in practice? FISH testing is done more widely than IGHV testing, however, in some real-world series, only about one-third to half of patients are being tested at all. 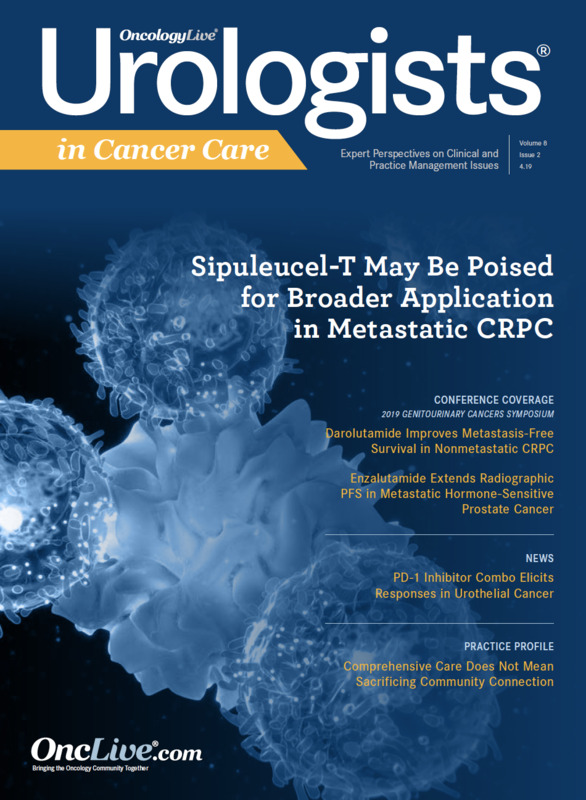 Although many [physicians] say that we use ibrutinib for patients regardless of TP53 status, we do like to test for it because we know those patients are at high risk for short responses to ibrutinib-based therapy. Additionally, we need to be thinking about next steps and longer-term approaches for those patients, including chimeric antigen receptor T-cell therapy; that’s now under investigation in CLL. Further, allogeneic transplant still has a role for patients with high-risk CLL. What are the existing challenges faced in this space? In the frontline setting, it's challenging because we have so many good approaches [to choose from]. We need to spend time with patients and weigh the pros and cons. One of the challenges with ibrutinib is that even though it's a very effective drug, it requires continuous therapy. For younger patients, that may mean decades of therapy. Those patients may want to have more of a time-limited approach. Right now, the time-limited approach we have is chemoimmunotherapy. Although it can be effective, it does have risks in terms of serious infections and other malignancies down the line. The field is headed toward more of a novel agent-based, time-limited approach. That would be the ultimate [strategy]—if we could treat patients without chemotherapy in a time-limited way, perhaps, with intermittent therapy over the years. That could be a very effective strategy that could minimize the toxicity and perhaps the cost of continuous therapy. What exciting research is being conducted in CLL that you would like to highlight? 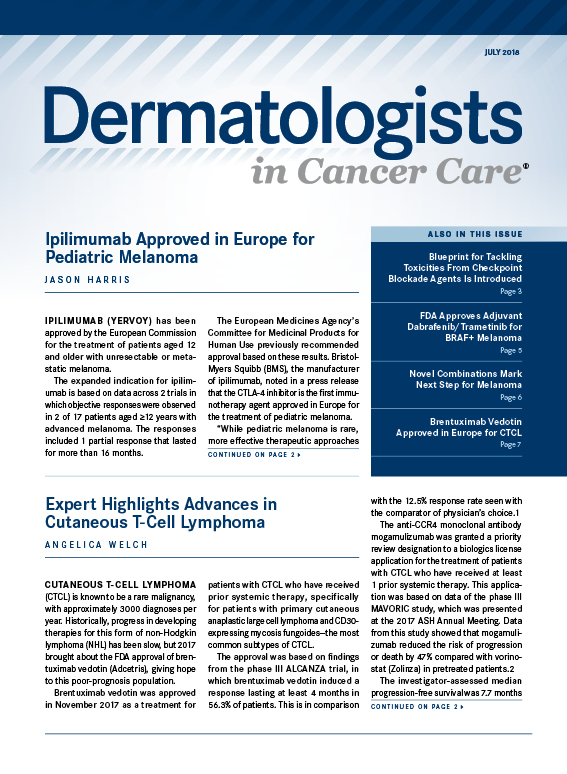 There have been several important studies presented in the CLL space. At the 2018 ASH Annual Meeting, we saw data from E1912 (NCT02048813), which looked at an ibrutinib/rituximab regimen for younger fit patients compared with FCR. The ibrutinib/rituximab combination showed a significant benefit [in these patients], particularly in those with unmutated IGHV. We also saw the randomized ALLIANCE trial of bendamustine/rituximab versus ibrutinib or ibrutinib/rituximab for older patients with CLL. There were major advantages, particularly for those unmutated IGHV patients who started with an ibrutinib-based strategy. 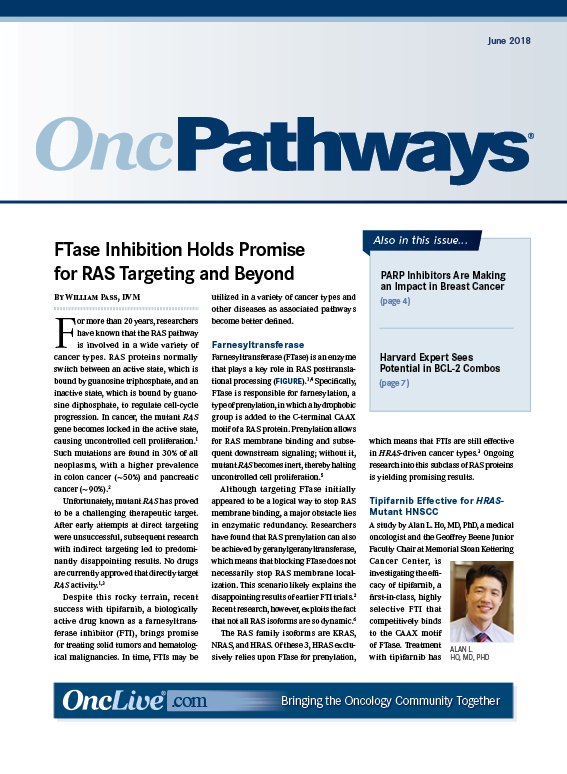 We've been working on several different studies to try to harness the benefits of both ibrutinib and FCR. 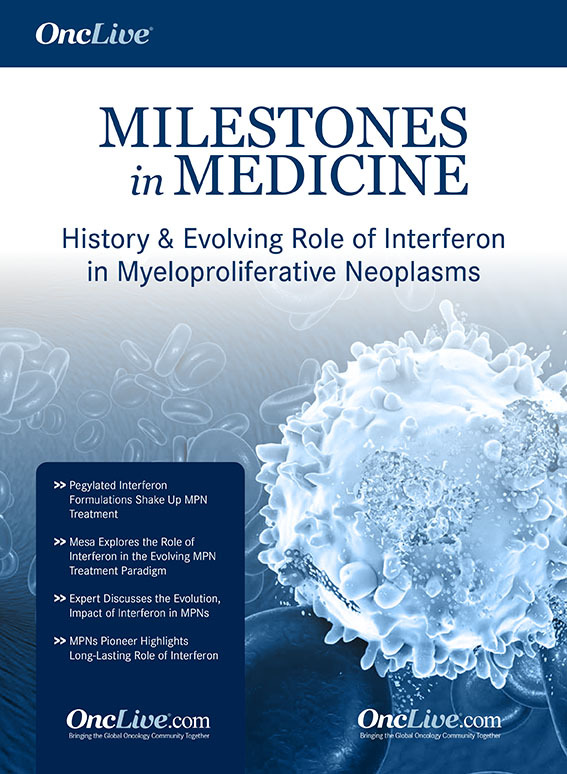 We've been running a trial of ibrutinib plus FCR, which we call iFCR, to try to harness the benefits of both therapies in a time-limited manner. That work is evolving as well. 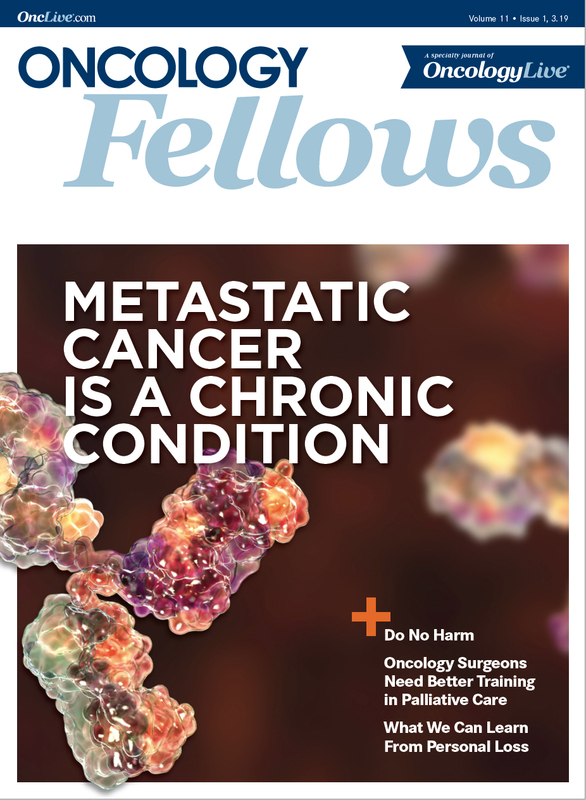 What is your advice for community oncologists working in the space? 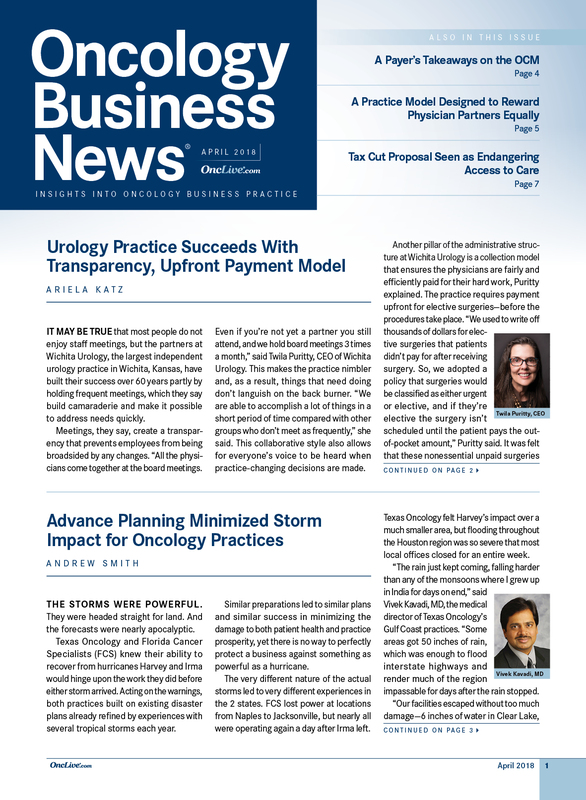 The first thing to remember is that most newly diagnosed patients will be able to go on a watch-and-wait strategy. 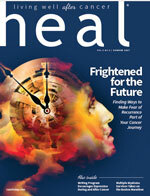 Even with all these great new drugs, we shouldn't be rushing toward treatment. The International Workshop Group on CLL criteria remain the same. Until patients are having symptoms, cytopenia, or bulky lymphadenopathy, they should not be treated. Once patients do require treatment, it's important to think about doing the prognostic marker testing, which includes FISH testing. If you have access to an NGS panel that can look for TP53 mutation status, [do that as well]. IGHV mutation status testing is also important. You need that robust molecular picture before you can make the best possible recommendation for a patient. Once you have that information, the decision is mainly between ibrutinib or chemoimmunotherapy. Increasingly, venetoclax will enter that equation in the frontline setting. It's a very exciting time in CLL. Although we've made a lot of progress, we still have a lot of unanswered questions. Particularly for community physicians, I encourage them to try to partner with a CLL specialist if they have access to one. Often, we have clinical trials available that will help us to answer these important questions in the field. Don’t think of trials as a last resort; rather, think of them early on. That's how we're going to continue to advance the field. Genentech Submits Supplemental New Drug Application to FDA for Venclexta Plus Gazyva for Previously Untreated Chronic Lymphocytic Leukemia with Co-Existing Medical Conditions. Genentech (Roche). Published March 7, 2019. https://bit.ly/2C9as21. Accessed March 7, 2019. Wierda WG, Siddiqi T, Flinn I, et al. Phase 2 CAPTIVATE results of ibrutinib (ibr) plus venetoclax (ven) in first-line chronic lymphocytic leukemia (CLL). J Clin Oncol. 2018;36 (suppl 15; abstr 7502). doi: 10.1200/JCO.2018.36.15_suppl.7502.